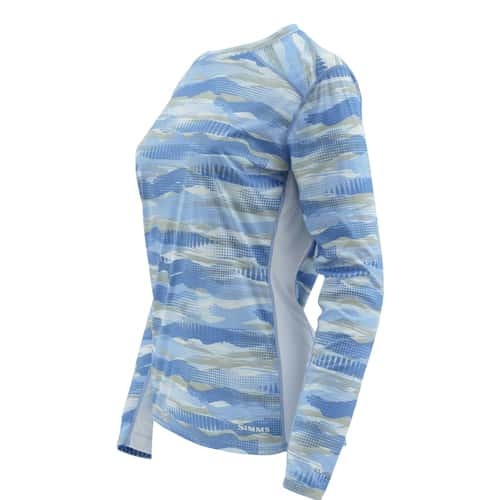 Lightweight and providing awesome sun protection with a UPF of 50 the Simms’ Women’s Solarflex™ crewneck now in a fun printed model is trail blazing the way into sunny locations. 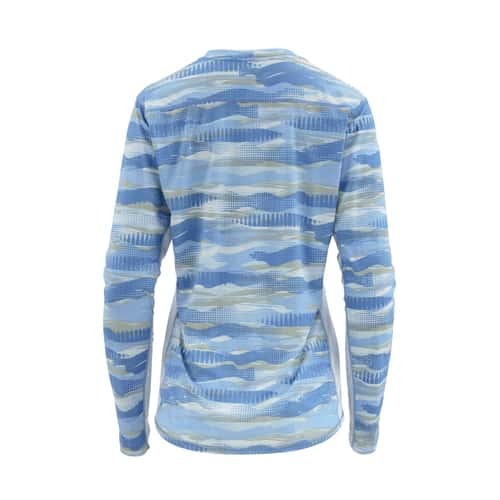 Powered by COR3™ fabric tech, this hardworking piece wicks moisture and neutralizes unwanted odors at the source. In addition, angler-appreciated architecture starts with plush flat seam construction and finishes with a longer body for full coverage when rowing and a high backed collar for additional sun protection. 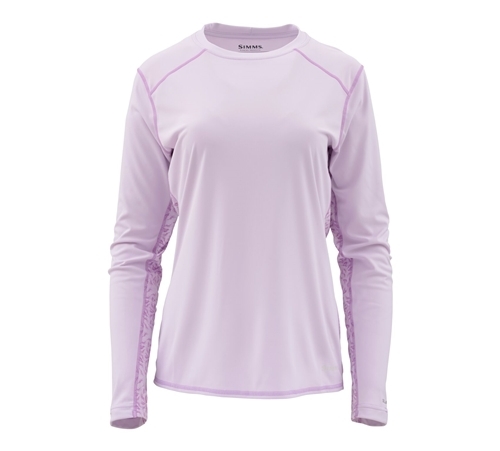 Ash color has a caddis print under the sleeves and down the side while the Pale Lavender has a shrimp print.